We have had a quiet season in the UK although we have had four winners and a good second in France and will continue to cross the channel for the good prize money on offer. 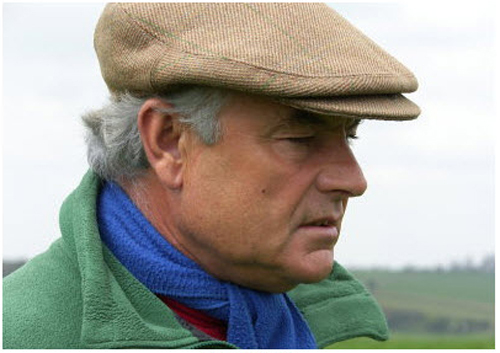 Carlton Blue could well go for the 6 1/2 f two year old race on the All Weather at Chantilly. Keep The Dream has been slow to get his act together but should keep improving. Intermix runs at Nottingham tomorrow, he is working well although he will make a better three year old as he is quite big. Kuantan One has run with promise but will make a better three year old. Serenata will run on the All Weather and looks like she will win at two. Strawberry Jam may run at Nottingham on the 7th of November, he got off to a slow start, he is by Duke Or Marmalade. Puteri Nur Laila was disappointing at Leicester, she should have won, she has been very unlucky. Gifted Girl - although unlucky at Leicester when she was a close second, she would prefer faster ground and should go better on the All Weather. Silverheels goes to the sales off the back of a good second at Deauville last week and should sell well. Circumvent who does not really like it soft, is in at Newmarket on Saturday but may wait for a Listed race at Lingfield where he will get his ground. We have assembled a nice bunch of yearling colts for sale they are all by sires that produce decent horses - Azamour, Bahamian Bounty, Cape Cross, Captain Rio, Fastnet Rock, Iffraaj, Piccolo, Mount Nelson. 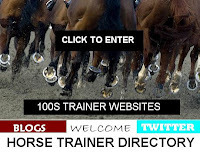 All this information was found by using Horse Trainer Directory. What could you find?